Get your FREE 30 day trial. Work for Adobe Captivate Prime LMS? "Beautiful system – questionable integration "
I like that reporting includes the differentiation between course completion and course engagement duration spent by the individual. I think that’s important for different reasons (HIPAA annual cert. v management training) and needs to be captured. I am concerned that potentially employees would find this to be a distraction away from their work assignments. I’m curious to see what kind of reinforcement and regulation might be available to avoid that type of distraction. Upgrade to typical presentations used for e-learning. This platform is really interesting for learning managers. It has many features that allow an effective learner administration and different ways to manage users (external or internal). You can add users by uploading from a spreadsheet, create groups of learners based on location or business unit, use self enrollment or automate the adding new users. It also supports interactive content like Scorm, AICC, Tincan and regular content like Videos, Pdfs, PPTs, word and excel files. The tools to create courses are very basic so it is recommended to create courses using other tools like Captivate and upload the content. You can also add activities and tests, but they also have to be created using another tool because it only allows you to add an external URL for learners to refer to, or have students submit files. This tool is perfect for learning managers. If you want to create courses from scratch it is better to use another tool first and then use Adobe Captivate to create programs uploading different resources. •	A dashboard to get a glance of their courses, overdue or deadlines, recommended learning, calendar and achievements. •	Learners can see valuable skills for their position and find courses that help master those skills. •	Gamification for rewarding desired behaviors. Earn and compare points with their colleagues based on rules that managers set. There are Bronze, Silver, Gold and Platinum levels and badges for students upon completing a course. "Overall, the Adobe Captivate Prime is a great tool for both small businesses and large enterprises. " 	Shopping cart integration is needed to sell courses. 	Learner analytics are mostly unformatted, downloadable excel sheets. 	Leaderboards and social homepage widgets need a boost. Best product for Adobe Captivate. Having used the Adobe Captivate course authoring software for the past four years, I had seen through enough trials and triumphs. The headache of uploading the SCORM package to my personal server to share with the client. And the heartache of waiting for their feedback, making changes, deleting the previous version from my server and then uploading the current file. The very memory gives me an aversion! Enter, a cloud sharing solution, exclusively for Adobe Captivate, aptly named the Adobe Captivate Prime. This learning management system offers a robust option for sharing and version controlling the files uploaded and tested for the client. The “getting started” videos are great for a newbie to learn the ropes and get themselves familiar with the environment. The application is divided into four primary roles: Administrator, Integration Administrator, Author and Learner. Users can toggle back and forth between roles they have been assigned to, with appropriate permissions. All four areas are guided by the much-needed tutorials. We also have the option of a 30-day trial to explore the system.
" An LMS with lots of handy features especially for larger companies"
Excellent Multi Tenanting configuration for a business GROUP. Love the email templates and automation within the system. Commercially viable product and secure. Love the booking Virtual class sessions and face to face Lessons with Very good Tracking and accountability built in. As a registered Adobe user, quality is very high I recommend the integration of Adobe assets with this LMS. Found the course more suitable to commercial application. It is important to have all your assets ready to start building the course and it would take some planning beforehand. This is not an LMS for lighthearted course development, and I do see this LMS as best suited to an ultra security conscious commercial environment that protects its assets like fort knox! For this reason alone, as a business, I would buy it. "Captivate Prime, It will improve and professionalize the learning of your company"
Captivate Prime has some very interesting points. Something that pleased me a lot is its ability to generate complete reports based on a great diversity of pre-defined parameters chosen by you, something extremely useful. Another quality that I like very much is its interface, it is clean and intuitive. Honestly I could not find any major flaws in Captivate Prime, but if I mention something I did not like so much, I'd say its setup procedure, it's a bit time-consuming and thorough. If you are a medium or large company, and have branches, captivate prime will be useful when it comes to training your company's employees, it can also help clients or partners depending on the area in which your company operates. With Captivate Prime the learning procedures of the company have gained a professional appearance mainly the videos of teaching. The convenience of employees of different branches of the company spread over several locations can access the contents of online learning facilitates the integration with the company, New company guidelines or update procedures can be passed on to everyone in a practical way in a short time thanks to Captivate prime. "It is a modern LMS with great features, easy to use and reduces course upload and deployment time." I find that captivate prime has most of the current market standard features plus more. From features such as setting learning paths for students to others such as reporting, gamification and user tracking etc. I found the set up easy enough, even as a new admin user and was able to load content within a few minutes. I was especially impressed with the simple interface that reduced the platform learning curve for me and the course set up/deployment time. I think the option to breakdown a course content upload to three sections (core modules, prework modules, and testout) is a great feature. Although a little more work, this would improve tracking and provide more detailed usage data/student interaction with the modules. I also liked that it has gamification elements available for use for individual or group learning. On the pricing module, I like the flexibility to add and remove users on a monthly basis, which is ideal for selling subscription-based courses. I would like to see a pricing module targeted at educational institutions as there currently doesn’t seem to be one. It is unfortunate that it seems only targeted at corporate institutions at this point. "A modern LMS with some standout features"
There are several smart rules which can be built into ACP which allow automatic assigning of teams, courses and learning paths when someone is created or registered in the system. Other LMS’s provide this, but the way this is set up in ACP is intuitive and smart. It drastically cuts down the time needed to get people up and running on the LMS and will save the time that LMS administrators would usually take setting people up. ACP seem to have done this better than any other LMS I have trialled. The ability to download all course content and use the system offline, while still experiencing the system as if offline, is a superior offering from ACP. We already use Captivate to create our eLearinng content and publish our SCORM compliant training packages. Having a system that allows us to publish quickly and easily from our eLearning authoring program to our LMS saves time. One unique part of ACP is having a dedicated instructor role which allows training instructors to log in and manage all of their training activities. Other LMS’s have this but tend to be quite complex. The way a user experiences this in ACP is simple and easy to use. Pricing is a little higher than other LMS's. Pricing is a little higher than other LMS's - not sure if the features outweigh the price. Easy update of user details and assigning to training activities. "Best LMS 2018 Review- Adobe Captivate Prime"
Adobe Captivate Prime has a strong and tightly integrated course management and user management module. Courses can be easily managed and linked to users, skills, gamifications, tags, workflows, notifications, reports and so on. Adobe Captivate can publish courses to Adobe Captivate Prime easily with just few clicks. Adobe Captivate 2019 which was released in August 2018 also supports immersive learning experiences such as Virtual Reality and 360-degree videos. Offers basic Reporting and analytics. Need stronger reporting module which enables organization to track complex learning indicators. Adobe Captivate Prime can reduce administrative time and cost. Adobe Captivate Prime enables organizations to fulfill their learning objectives by delivering rich and consistent learning experience and simplifying LMS administration. Admin cockpit is simple, user friendly and enables even a novice LMS Administrator to perform all admin functions effectively. "Professional LMS but make sure it fits your needs "
The all-in-one player dubbed the “Fluidic Player” makes adding content from popular providers simple with all require plugin preinstalled(PDF, PPT, and DOCX files, and xAPI-, SCORM-, and AICC-compliant packages). Basic gamification with the ability to customize pages and complete for course completion points with co-worker is helpful feature to promote friendly competitiveness in the office. nteractive content for Q & A, quizzes that would allow companies to check for user competency are not built into the product. Interaction from 3rd party products are available, but this is an added step and cost. Data gathered on users is limited to completion of courses and time spent on courses. This data doesn’t provide companies with knowledge of user proficiency. "Adobe Captivate - a great tool for creating software demo"
I use the tool to create virtual walk through of product demos that allow users to "test Drive" without using the actual product. There are a lot of tutorials and free assets you can take advantage of. Do so to learn more and to access free assets within your projects. You can also upload your own media files to embed in your projects which is nice. Adobe Captivate Prime is a great LMS solution at a much lower price than most of its competition. It allows for the swift implementation of learning assets, user and course catalog administration. The UI is both pleasing to Admin roles as well as end-users. Its graphically displayed reports and ability to publish content with or without learning requirements are unique features in the market. The 30-day free trial with full access is a huge plus. I would recommend it to anyone new or seasoned in LMS administration. The default end user landing page is a bit bland, but it only takes a few minutes to add cover images and make it look great. Get the 30-day free trial which has full admin access. We use Captivate Prime for a specific population of contractual workers that need access worldwide and across all devices. "Great resource for continued learning"
I love the whole product. The videos are uploaded and set with review questions so each learning module tests our knowledge and educates us on current issues or updates. I love how everyone is constantly on the same page and up to date with everything going on with our clients and company. The reporting section as a manager is lacking a bit. It is hard to tell who and when learning modules were completed. We really needed a way to educate our entire Client Success floor with all the updates and things happening in our company. This is a great way to let people learn on their own in their own time and be tested on what was being presented. "Adobe’s multi-feature learning tool. Need some improvements "
Most organizations have a small L&D team but they are responsible for the entire orgs learning. Here the roles in the LMS are well defined so it is easy for the Learning manager to switch roles easily. Manager, Admin Author and learner etc.. Mobile learning being available is a good thing. Although courses are available for purchase, per learner cost can be expensive. Mobile app needs improvement. For the Learning and Development team, Adobe Captivate prime makes it easy to administer training to the employees. If the apps and course pricing is improved, it can be a great choice. "Modern User Interface and Simple UX"
The tool provides users with a Modern IU and a very simply UX which is essential when utilizing a program such as this. The tool is completely missing a social user experience allowing users to interact with each other which i feel is huge miss for this product. The software definitely appeals to all experience levels in regards to UX. I believe the software still has a few missing pieces to implement in future version/updates in order to provide the best user experience for a learning environment. Access learning plans on the go adapting to the increase of use of mobile devices vs computers. Native software available for both IOS and Android. 2. Integrates with external content providers. 3. Makes it easier to define a skill and provide content covering it. 5. Great built in tutorials. Organize learning content and provide learners with one place of access to educational information. "Adobe Captivate Prime has good UI / UX and Integration. " From a User Interface point of view, the SPA single web page architecture enhances the performance of the site. Its nice that you can integrate with third party apps using the APIs that it provides. Lots of APIs have been provided for integration and customization. Thirdparty course providers, HRMS tools, Meeting tools and authoring tools can all be integrated with this LMS. Some features need more customizations and it needs more inbuilt applications instead of third-party integration. Inbuilt applications may slow down the software a bit but it is definitely valuable to have them. Adobe Captivate Prime is a great choice if the budget fits you. Learning in most organizations are manual and complex. LMSs like Adobe Captivate Prime makes it easy for virtual learning and online learning. My main interest was simple integration with Adobe Captivate. Indeed, the 2017 release of Adobe Captivate provided excellent integration with Captivate Prime LMS. Discounts are offered after the 500 user mark. Many vendors only offer discounts after 1000 user mark. This was a great plus. Also Captivate Prime works with Tin Can, which is critical. It was easy to use and reporting was clear. There is a lot of competition out there. It would have been nice if there was e-commerce. User statistics and reporting. Clarification about user statistics. To be expected, you have to spend a fair amount of hours overcoming the initial learning curve to using Captivate. The benefits of course are a in-depth understanding of industry-leading software. Additionally, while Captivate is in high-demand to create immersive learning experiences, the price to maintain membership (Adobe CC or single app-use) is steep. None at this time. The updates are consistent with many other Adobe products. I would love to see different offerings of Captivate offered (students, small business, enterprise level, etc.). While no longer creating files, I still engage with the program and with the products/ trainings created as a result. Captivate is used primarily to draft, create and to deploy training material to our teams. It offers a streamlined source of material and consistent information across departments. "Scalable LMS, good Architecture. e-commerce not available.."
Lots of positives in this LMS, especially the modular design in the architecture with access control, security and user management. It allows bulk uploads using CSVs or via FTP. The auto scaling facility (Amazon EC2) helps during learner’s peak access times. Ecommerce facility is missing in the LMS. 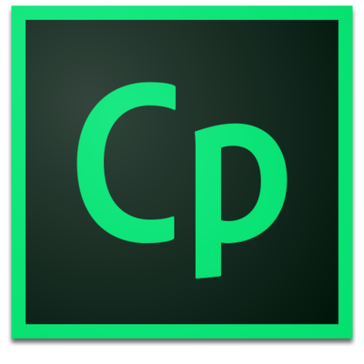 Allows to buy courses separately that can be consumed in Adobe Captivate Prime though. It’s a highly scalable LMS with a modern cloud architecture, good integration and connectivity features. "A great LMS solutions for our clients"
Scorm compliancy is essential as we design our courses in Articulate Storyline. It's user friendly. I love the additional tools like Course effectiveness which is useful not only to the learner but also to us a developer to ensure that our courses are clear and effective. The iPad app is an added benefit for our learners who like to learn on the go and have the synchronous learning option. The administration side is also easy to use. It would be great if there allowed for more interaction between learners on the course. Otherwise there were no significant issues on our trial period. LMS solutions for our clients that we develop courses for. "Adobe Captivte Prime - A well integrated LMS. Needs additional features such as ecommerce"
The Integration with Thirdparty course content from Lynda, GetAbstract and HarvardManage Mentor gives learners more course options , other integrations with Adobe Connect and authoring tools such as Captivate makes it a great LMS. HRMS integration makes it easy for managers and admins to manage their learners. Better performing mobile Apps (both IOS and Android) and eCommerce facility would have made this even better. If it fits the budget it is a great option for your organizations Learning needs. Learning in organizations are easily manageable with Adobe Captivate Prime. Its integration capabilities saves a lot of manual work for managers and admins. These make Captivate Prime a highly recommended LMS. "Why is there no perfect LMS?" The price is right and the features are OK for a company taking a first leap into LMS. Also, if you design in Captivate, it is easy to move content into production. The reporting is weak - there is a dashboard, but basic reports/graphs need to be built (they do not provide a starter list).. The interface is boring - too much real estate is wasted to empty tiles. Also, if you ever delete a user, you can NEVER reuse that email address. Finally, resource/people scheduling is not robust. FTE is abut 1.5. Reporting, scheduling, administration, support, SSO. We were looking for an LMS option for one segment of our business. As we grow, we are quickly outgrowing this platform. "Easy to use, all in one system"
It's quite a feat to have software that is easily navigable and easy to use. Adobe Captivate Prime LMS does this with ease. The user interface is sleek and allows users to find what they are looking for quickly and points you to the right direction whether you're adding users, making courses or developing learning programs. I found that there wasn't enough customization for my business logos and colours, but it's really a very minor to have. Training my team and people around me. It's very easy to create something for people with knowledge on a particular topic, and then share that with the wider team as time goes on. "The LMS you need if you solely deal with Captivate"
I like how easy it is to publish Captivate projects straight to the LMS from within Captivate. No need to export and upload to your own LMS. The lack of eCommerce support is one thing that is sorely lacking if you want to sell your training. This product is also not for small organizations due to the 100 user minimum requirement. If you only have 20 users in your company, it doesn't make sense to subscribe with Captivate Prime. If you have a big organization and want a no-frills easy to use learning management solution to house your Adobe Captivate projects, then Captivate Prime should be one of your first choice especially if you don't have prior knowledge with the use of an LMS. The ability to deliver Captivate based eLearning to a wide audience within the company. The fact that we don't have to maintain a server, there's sufficient support, and an attractive dashboard made Adobe Captivate Prime a worthy solution for our needs. Developers, LMS admins, and the users all have positive remarks with the use of Captivate Prime. "Adobe Captivate Prime ranks higher than conventional LMSs"
I like the learner-first-approach in Adobe’s Prime LMS. The design is centered around the user. Its nice to see the feedback loop on course effectiveness which is based on tests and manager feedback. Cloud based model, security and disaster management are other key parameters that makes it rank higher than other LMSs. It is cloudbased so it needs connectivity for most features to work. However, offline and sync facility is available when not connected. For a multi-learner environment, Adobe Captivate Prime is good, it is most useful for organizations where learners are remotely located and need a virtual learning environment. "Learning with Adobe Captivate Prime is enjoyable and easy "
Has a lot of features which helps learning to be fun. Especially the gamified learning where you can have leaderboards, badges and share with others. Discussion boards and note are other great features here. It has limited color themes and options. A little more customization on the look and feel front will be good. LMSs like Adobe Captivate Prime are advanced and keeps adding more features so it is a good choice for companies. LMSs like Adobe Captivate Prime solve learning issues. It is advanced and the updates keeps adding more features so it is a good choice for companies. Would like more customization of the interface. Great block images at the catalog level but boring list views at deeper levels. If using Adobe Connect for virtual meetings this is a no brainer. Clearly map out what your learning plans and resources are and identify what type of content each item is so that you load it in the right places from the beginning. Content management and sharing. Deployment of blended learning. IP protection balanced with learner access. Current user interface. "Review for Adobe Captivate Prime"
"Nice product but could use an e-commerce engine integration"
From an Integration Admin prospective, connectors are easy to find and access. Manuals for integration are easily accessible under Developer Resources. From both an Admin and Learning prospective, I really like that they have a "Testout" function. Prime does not seem to have any ecommerce ability to resell courses. (i.e. Sell courses to customers or partners). A stable environment that is easy for the user to access, as well as from an Admin standpoint. "A great tool for storing eLearning modules"
Captivate allows you to capture screens and combine them into full-blown training modules, then store them in an accessible location. There are a few quirks when it comes to customized colors and designs for specific buttons and dialogs. Make sure you do all your research ahead of time. Talk to others using competing products to make sure Captivate really provides all the reporting and other functions you require. Captivate allows us to create and display all our learning tools in one place. "Adobe captivate prime is a well laid out LMS for organizational learning"
For learning managers there are a lot of features enabling them to enrol Andy manage users, courses and other leaning data. Quite a lot of automation available for managing employees learning. There are a lot of features available that are not fully made it of because you have to dig deep. Need more video tutorials and real time tips to have them available to managers. "A LMS with a slick UI"
I'm a e-learning developer, so I have seen a multitude of LMS interfaces. Captivate Prime is new to the game, and has brought a slick UI that is not seen on other "out-of-the-box" solutions. We didn't have any way to track and assign our training. We have now found a solution in Adobe Captivate Prime. Our learners now have a UI that is familiar and they can work to earn badges and complete training. Instead of having a meeting and teaching or lecturing a group, taking people away from their work, they can complete training online and learn new skills at their leisure on almost any electronic device. If someone has questions about what they are learning or viewing, you can't just raise your hand and get the answer. So you must take notes and find someone who can answer your questions. Employees seem less stressed about having to stop what they are doing to attend meetings. In meetings people will often zone out- thinking about other tasks they need to catch up on. This somewhat eliminates that because they can watch the training modules at their convenience. "Adobe LMS is simple and easy to understand." The navigation pane is easy to follow and use. It allows us to select only what needs to be seen on the home page so that it doesn’t get confusing. Set up is fast, it can be setup and run in a couple of hours. For more detailed features, there needs to be more how-to-use videos so managers or admins can easily use all the features. Learning is easy and not complicated as is the case with other LMSs. Navigation and using the LMS is simple and easy for the learners. "Adobe Captivate Prime is a reliable Learning Management system useful for managing learning"
Its easy to navigate on the page, it doesn't have too much clutter so that makes it easy to use. The availability of learning offline and online and on mobile devices is a big plus. More robust backend required for both the Android and IOS mobile apps. Otherwise not a lot of negatives were found. Adobe is a reputed brand with reliable Cloud based tools. Since it is an LMS from reputed brand with other reliable cloud based tools, this LMS will be an easy choice for organizations learning needs. "Adobe Captivate Prime Trial review	- A useful LMSMost companies have a small team managing the organ"
Most companies have a small team managing the organizations learning. For such teams, this LMS is good because it is easy to change roles on the tool without much hassles. You can be a learner or admin or manager just by changing the role. The 30 day trial period is good for exploring before subscribing. Discounts for education institutes and easy cancellations are areas that can be improved. It is a useful learning software with a trial period to test out the tool in detail before subscribing. "Functional, Ease of learning and Adaptable"
The availability of options to change and modify presentation styles. New learners are able to use this product quickly without instruction. the formats using a PC and Mac were difficult to learn at times. communication and teaching. This application is a tremendous teaching tool. Most imaging loaded into adobe keeps the same format and is easy to manipulate to fit the ideal size. "Multi-format player is a great learner feature"
If you need to integration with other tools for authoring and virtual meetings, they do not come under the package. They have to be bought separately. "An Intelligent Learning management system. More pricing options required.."
Because of its integration and automation capabilities, the learning managers and admins work gets easier. There are additional content catalogs available for Captivate Prime which include work, business and softskills. Additionally, users have control over their data and privacy. It has a monthly subscription pricing option with annual commitment and option for perpetual license only for exclusive courses. Options for perpetual license will be good. A good choice for learning managers and administrators. Course content availability is an added advantage. More pricing options required. "Good for learners and mobile workforce "
Adobe Captivate Prime’s job aids and just in time learning features are excellent. Allows quick reference even if not enrolled in a course. It helps when meeting clients, you can quickly see reference material and job aids. Well suited for folks who on demand quick references. Needs integration. need to add separate authoring tools, meeting and other tools for a smooth learner experience. Organizations that have a mobile workforce can use this on the go. Job aids, reference material features are good. The ease of use with this software makes it the right choice for those looking to create eLearning materials. Those without previous Adobe software experience may find some of the areas a bit too complicated. Adobe's support staff is knowledgable and easy to get in contact with. We were looking for eLearning solutions for our sales training classes. I find it pretty easy to use- similar to working with a Powerpoint. Basic editing of audio is pretty easy to work with and editing the timing of the presentation is not too difficult. I wish there was an easier way to edit the audio for the entire presentation rather than just one slide at a time. I have also had difficulties with publishing the video and viewing them to preview what it would look like when it’s published online. It allows a lot of users to see video of something related to my companies’ software. "Skills features are excellent. …"
Its nice that learners can map the skills they want for their future roles and take them from time to time. Up skill and cross skill also can be done. Price can be a little high if the features are not used. It can be budget friendly for medium sized orgs. Other than that, not a lot of negatives to say about this tool. If price is budget friendly, it will be a great tool for learning org. "A well connected Learning tool. But needs to include authoring and virtual meeting tools"
Connectivity is good with Adobe Captivate Prime. As a salesforce CRM professional, good to see that admins can connect the LMS with SFDC and learners can access their learning programs from Salesforce. Captivate authoring tool and Adobe Connect are not part of the LMS. They need to be bought separately. Lots of connectivity options in the LMS, connected learning makes it easy for organizations. It saves a lot of time otherwise spent in manual tasks. "Has great Learning features, Mobile Apps needs lots of improvement"
The customizable dashboard provides an easy view of all the learning progress. The abundance of features and ease of use on the desktop / web is good. Apps on the mobile need to be improved a lot especially the memory and content display. Improvements needed for a good mobile learning experience. Overall Adobe Captivate Prime is a good learning tool in a desktop environment. More improvements need to be made on the mobile. "Learning tool on the mobile Apps needs improvement." Learner dashboard is good, it helps learners see their progress, courses, , deadlines, etc.. in one place. On the desktop site, learner experience is good and works well on all browsers. Stability on the apps needs to made better. General user interface on the app needs to be improved. It’s a good choice for all types of organizations makes learning easy. The apps need improvement other than that it is a great LMS. "Notes and language support is good in this Adobe LMS. " Adobes LMS has many striking features, the notes feature helps you to take quick notes during your training and refer back when you need them. It has multi language support too. More language options needed for locales so that it can be used by folks who want to navigate in their native language. Adobe CaptivatePrime is superb LMS helpful for organizational learning especially for medium sized organizations. "Technically strong Learning Management system"
The Back-end technology especially in user integration from HR portals and management, authorization oauth2 and use of APIs for various integration is good. It enhances the capabilities of the LMS. Authoring tools are not part of the LMS, they need to be integrated or done separately then integrated. It is useful for online and virtual learning when people are remotely located and need to be trained. "Dashboards are nice. Mobile apps need a reboot. " Its nice that the Learner dashboard can be customized and it lets learners track progress, and deadlines. It works well on all browsers and the learner experience is good. Apps need more stability and the UI/UX on the app needs improvement. A great choice for organizations to provide a learning platform for employees. If the apps are improved, the LMS can be the best choice. The arrival of personalized learning. How to quantify ROI of Learning in your organization. Forrester Total Economic Impact study. Five must haves in an LMS to get mobile learning right. Four crucial characteristics of a compliance LMS. Learning about Adobe Captivate Prime LMS? * We monitor all Adobe Captivate Prime LMS reviews to prevent fraudulent reviews and keep review quality high. We do not post reviews by company employees or direct competitors. Validated reviews require the user to submit a screenshot of the product containing their user ID, in order to verify a user is an actual user of the product. Hi there! Are you looking to implement a solution like Adobe LMS?